“Xinjiang Hao” is one of my favourite songs. It’s a propaganda ditty from the Mao era, which charmingly recites all the reasons that China’s “new” frontier is a wonderful place. There are run-downs of natural resources, and lists of local fruit and veg. There’s a chorus that always brings a tear to my eye: “Our beautiful fields and gardens, our beloved Home”, and an oddly plaintive, clingy refrain that seems to be actually begging the listener to visit. Here is a rather eurotastic version, featuring some sultry bimbling and a prancing idiot who appears to be trying to play his own leg as a musical instrument. This is, largely, how Xinjiang looks whenever it’s mentioned on Chinese telly – joyful dances and graceful dark-haired beauties. Back in the time of Empress Wu, her adviser Judge Dee suggested that she steer clear of Asia’s arid heart, thereby leaving it to her enemies to waste their energies crossing its forbidding deserts before they reached her borders. But Wu, and subsequent Chinese rulers, expanded the realm far to the west along the Silk Road, exposing China’s flank to a long, modern, festering border with all those Central Asian republics we tend to lump together as “The Stans”. The Tree That Bleeds: A Uighur Town on the Edge is a fast read. 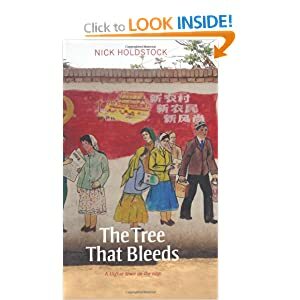 Despite its 350 pages, some of the chapters are only a paragraph long, although author Nick Holdstock has artfully imposed a seasonal and narrative structure over what clearly began as scattered diary entries from his time in the remote town of Yining. 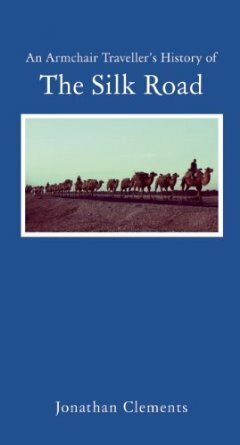 The result is a welcome addition to the English-speaking world’s small supply of books about Xinjiang, China’s landlocked new frontier and place of exile. Holdstock’s book is unlikely to lead to a flood of tourist trips. Like Mannerheim before him (who was underwhelmed with the place), and Eric Tamm in Mannerheim’s footsteps, he describes a drab, dusty dump you’d have to be mad to visit, with nosy, snotty children, world-weary cab-drivers, and wheeler-dealers selling condemned blackcurrant juice. As for Things to Do, there’s always the cockfights, clamorous karaoke bars and pink-lit brothels. “Anyone wishing to launch a cultural pogrom in Yining,” Holdstock observes, “would be hampered by the shortage of targets.” There are none of Youtube’s pretty Uighur dancers here, nor much in the way of homespun shepherd wisdom. Instead, Holdstock finds squalid slums of crumbling concrete, apples that almost break his teeth, and a drunken, drugged-out population of no-hopers and spivs. Arguably, one finds what one is looking for. 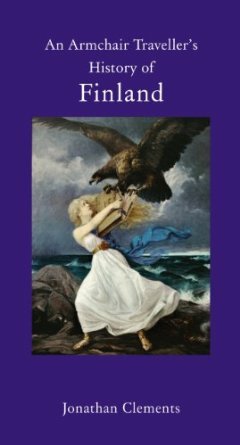 Holdstock’s book is boldly formalist, discussing only what he sees and stumbles across. He doesn’t go out of his way to find natural beauty or local colour; instead he lets Xinjiang dig its own hole. Apologists and propagandists for Xinjiang describe lush green hills populated by gambolling sheep, glittering mosques, happily dancing natives (a recurring stereotype that clearly winds the locals up), and quaint folk traditions. But many foreign observers (well, so far in my reading, all of them) instead outline a tense, jumpy borderland in a permanent stand-off between restless native Uighurs and unwelcome Han colonists. Holdstock is uncompromisingly even-handed in his treatment not only of the region, but of its contending interest groups of clueless bigots, smug religious fanatics and downtrodden peasantry. Irritated in equal parts by squabbling Muslim factions, undercover Christian missionaries and listless Chinese bureaucrats, Holdstock is a Canute-like figure, teaching English to students with little hope of escape, and railing against the jobsworths who won’t sell him a bus ticket. He has an ear for the long silences and dispiriting platitudes of stilted intercultural conversations, but also for sudden, unsettling outpourings of emotion, when his Chinese colleagues feel they can open up, and he often wishes they hadn’t. The stir-crazy Holdstock grows so bored with frontier life that he actually looks forward to seeing a horse get butchered, and is frustrated even in this simple ‘pleasure’ by the interfering authorities.With comedic haplessness, he also embarks upon a grand enterprise to expose a kind of international espionage (I won’t spoil it), only to repeatedly shoot himself in the foot regarding contacts, evidence and subterfuge. That’s not to say a whole lot happens – this is not a plot-driven narrative – but it amply, and damningly conveys the loneliness and tedium that is surely a hazard of the job for many teachers, missionaries and diplomats in all the inhospitable corners of the world. If anyone had a romantic idea about Xinjiang (or China, or Cambodia, for that matter, where Holdstock winters for an interlude among stoners and paedos), The Tree That Bleeds tramples it in the dust. Far too many books about China are tiresome travelogues by chinless Torquils on a gap year, or earnest, uncomprehending Lucindas who think that readers will find their baffled musings endearing. I grew weary long ago of reading about how Daddy’s money and Uncle Jeff’s friend in Hong Kong pulled this string or wangled that boondoggle, all so little Rupert could chortle in a Clapham gastropub about the larks he had in Kunming. I am, to put it bluntly, sick of books about China that brag of the author’s ignorance. But there is none of that with Holdstock, who comes to Xinjiang in the noble, monastic penury of a Voluntary Service Overseas contract, and crucially has served time already in Hunan, thus inoculating him against any large-scale culture shock. Ignorance for Holdstock is not a badge to wear in place of content, but an alluring, whispering shadow over his whole stay, as he attempts to find out exactly what happened in a series of riots (or demonstrations) that were suppressed before his arrival. Residing in Yining at the time of the Twin Towers attacks, he is drily cynical about the Chinese government’s attitude towards local unrest. There apparently “wasn’t any” until 9/11, when the Bush administration made it fashionable to rebrand reprobates as terrorists. Suddenly, everyone is jumpy about al-Qaeda and the Taliban, whereas previously the Chinese have been diligently saying that all Xinjiang is good for is a sing-song. Holdstock never really finds the answers he is looking for, but The Tree That Bleeds is all about the questions anyway. I would like to believe that The Tree That Bleeds is subjective and one-sided, despite overwhelming evidence to the contrary. Never having been to Xinjiang myself, I rely for my picture of it on the writings of others, who unanimously depict it as a miserable, god-forsaken place, ever since Marco Polo wrote of its howling winds and haunted sands. There are so few books about Xinjiang (go on, name five. I’ll wait…) that every new addition is welcome and Luath Press, a small Edinburgh outfit I’d never heard of before, is to be commended for taking a risk with Holdstock’s anti-travel book. But Xinjiang can’t be as awful as he makes it sound… can it? Can it…? One day I shall find out for myself. Until then, I consider myself forewarned and forearmed. The Tree That Bleeds: A Uighur Town on the Edge is out now from Luath Press.